I learned about the Enda Iten shortly after I visited Iten, Kenya in December 2016. 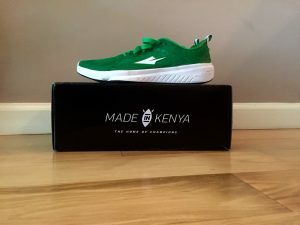 After having such a great experience with The Kenya Experience, I wanted to find out what made a great shoe in the minds of Kenyan runners. Since buying a pair would support Enda’s initiative to create jobs in Kenya, I knew I had nothing to lose. The shoes couldn’t have come at a better time since I’ve been wrapping up speedwork sessions before entering my training for the 2017 NYC Marathon. The 4 mm drop promotes more of a fore foot and mid foot landing, which is great for distance running. The weight of the shoe allows me to still bounce high off the ground without having to fight any extra weight. This is especially helpful for holding faster paces during long tempo runs because I can maintain my pace while having that extra protection from the insole. 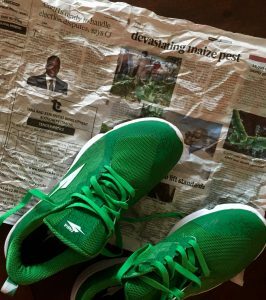 The Enda Iten shoes felt great on my recovery, but I wanted to see how they would stack up during a workout day. 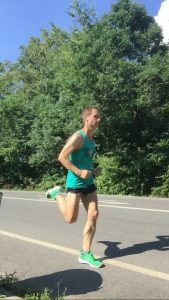 The following day I had a workout for an upcoming 5k: 10:00 fast (around 5:18 per mile pace (3:18 per km)). While running I did not feel the shoes. 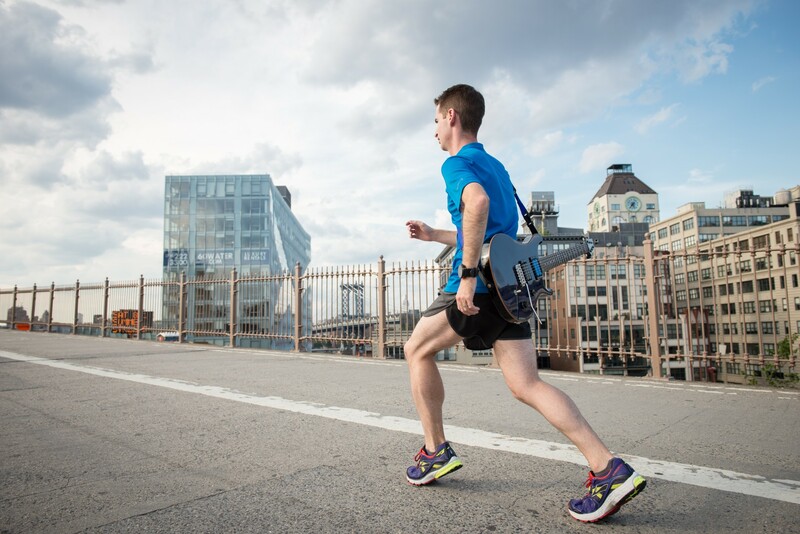 This is a sign of a good product because it allowed me to focus solely on running. With every stride I took I could focus on completing the workout without worrying about my legs. I also found they have enough support during my long runs. Though it has only been a week, I feel confident that these shoes will be a part of my shoe rotation for training. 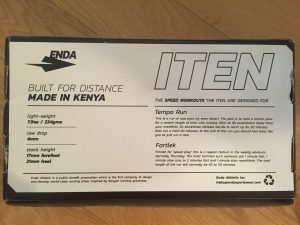 I found the Enda Iten running shoes very efficient, comfortable and stylish. I would feel comfortable wearing them in races up to the half marathon and possibly the marathon. The price point of $100 is doable, especially since the company is in its infancy. 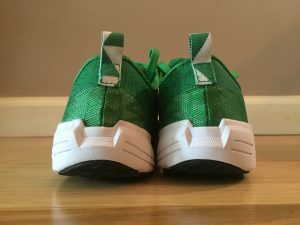 I would recommend these shoes for all runners, but especially those who run efficiently and don’t need so much stability. The shoes might contain slight cosmetic flaws to some, but for me the performance of the shoe outweighs the aesthetics. I’m interested to see how they improve their first model throughout the coming years. I’m happy to have purchased the first model shoe and I wish Enda the best in their journey. You can purchase the shoe here. For disclosure: This review is solely the opinion of my own. I have not received any payments or free shipments from Enda Sportswear. I’m writing this because of my interest in running and Kenyan culture. I’m interested in buying this shoe but I have some issues in the size choice. I’m wearing different shoes (Adidas Adizero Adios/Boston6 US 9 1/2, Nike Pegasus 35 US 9 1/2 and Saucony Triumph ISO 4 US 9 1/2) and the US size suggest to buy the 9 1/2…but I’m Italian so the EU size is usually 43. Looking into the size table on the ENDA website the 43 EU is linked to the 10 US and the 9 1/2 US is linked to the 42 1/2 EU…so…could you compare the size you bought with other brads you usually wear. What do you suggest to buy? 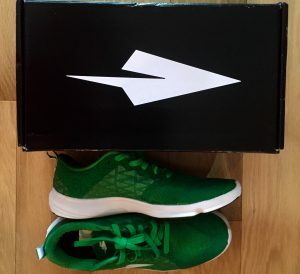 I know this could be a light risk due to the fact that the cost of the shoes is not so high (compared with other brands) and the fact that I have a good monthly milage (approx 350 miles per month…so I use a significant numbers of pairs per year). And last but not least…how these shoes fit? Many thanks for your support. I wear the Adidas Adizero Adios 9 1/2 US as well. When the Endas first came out I purchased a 9 1/2. The sizing felt ok to me, but I heard mixed reviews that the sizing felt too tight. I believe they accounted for this and made them more true to size with this current production. Personally I would go with the 9 1/2 again. A 1/2 size up might feel too loose. It fits snug, but in a good way. It’s a very responsive shoe. Hope this helps! Many thanks Nick, I do not have a really wide foot so a tight size could be ok for me. My thoughts were on the length of the shoes but if you wear the same size as mine I will try to buy the US 9 1/2. In any case, given my monthly milage, I will replace them really quickly :-). No problem, Carlo. I felt ok with the length of the shoe. It’s snug, but it didn’t feel too tight that it was uncomfortable. It reminded me of the original Adios and Adios 2 if you are familiar with those versions, but with a slightly wider toe box. Feel free to let me know how they feel. I’m thinking about purchasing another pair down the road. I too had questions regarding sizing. I fluctuate between 7.5 (Altra, Hoka) and 8.0 (Nike, which I generally buy a little larger for more toe space rather than needing the extra length), so was wondering how the Iten will compare. I understand it has a wider toe box, which is great, so am more concerned with length. The length for the Endas run a little shorter. If you want a little more length, I would try a 1/2 size up.